The New Forest & Hampshire County Show brings rural living and traditional country pursuits to a wide audience. One of the highlights in the calendar of any New Forest commoner has got to be the New Forest & Hampshire County Show. The show was originally conceived just after WW1, as a way to support farmers and develop agricultural improvements. The New Forest Agricultural Show Society, which became a charity in 1992, still has as one of their key objectives ‘to increase awareness and understanding of agriculture, breeding stock, forestry, equestrianism and horticulture to the widest audience’. The last Wednesday in July is traditionally the day when all the Forest related events happen, which dates back to the earliest one-day shows. Wednesday was early closing day in the district and by holding the show on this day organisers could expect a greater local attendance. This is the day that the commoners and locals prefer to attend, as they know that there will be many of their friends and associates in attendance; and it is also the day when the showing classes will feature the New Forest pony. In times past the show was held at Bartley Cross and entrance to the first show was charged at two shillings and four pence. The programme for the day even included an hour’s break for people to take their lunch! Nowadays, the programme is action-packed, from early in the morning until late in the afternoon or early evening. My annual pilgrimage to the event, now held at New Park, Brockenhurst, began very early in the morning indeed. I always seem to arrive just as the traders are setting up and leave when they are closing, but the time absolutely flies while I am there. I know it’s a cliché but there really is a lot to see and do; and it’s as well to get there as soon as possible to cram everything in. Apart from the New Forest pony show classes, I like to watch the carriage driving in the main ring. Then I spend time looking at the pig and cattle classes. It is such a credit to all those involved in turning out these amazing looking – and well-behaved – animals. I try to pick the winners in each class before the judge makes their decision, and I’m usually near the mark. Although I don’t have Common of Mast, for turning pigs out on the Forest in the autumn during pannage season, under my common rights I am able to turn out cattle. It’s an idea that I’ve often toyed with and I find that talking to the owners of the cattle at the show is a good way to learn about the different breeds, their characteristics and temperaments. Then, of course, there is the inevitable networking, catching up with fellow commoners, and perhaps even doing a bit of business and having some laughs. This sociable activity is usually conducted during a visit to the Commoner’s Defence Association and the New Forest Verderer’s stand, located in The Heart of the Forest area of the showground. 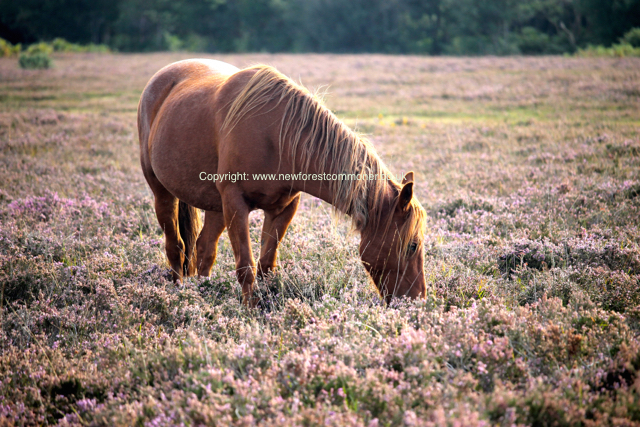 Here I can get the latest news and find out about events and training courses that keep the traditions of the New Forest alive and safeguard its special qualities. Dates for your diary: next year’s New Forest & Hampshire County Show will be held from Tuesday 25th July to Thursday 27th July (2017). The ‘star’ of the show has got to be the New Forest pony. 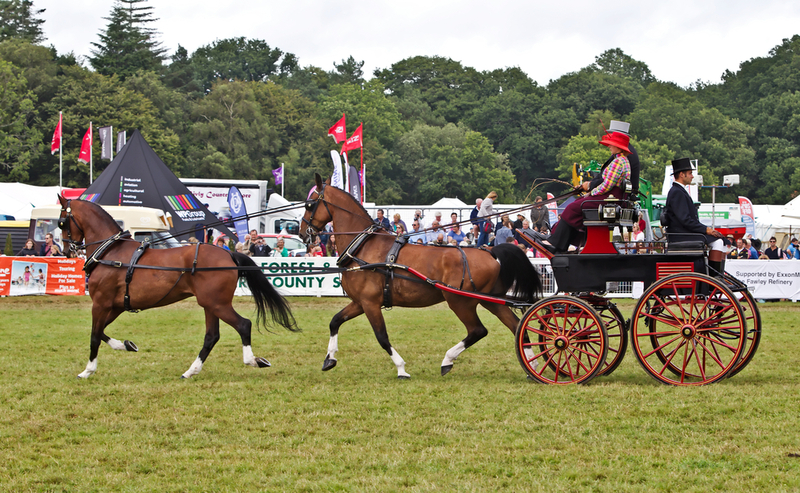 This entry was posted in New Forest and tagged Carriage driving, cattle, Common Rights, commoning, cows, events, judges, New Forest & Hampshire County Show, news, NFCDA, NFNPA, Pannage, pig, private driving, showing, smallholding, training, Verderer. Bookmark the permalink.